Our product range includes a wide range of king pin bearings. With highly driven technical excellence, we have been devoted towards providing an exclusive array of King Pin Bearings. The offered pin bearing is capable of bearing thrust pressure in various industrial pump applications. 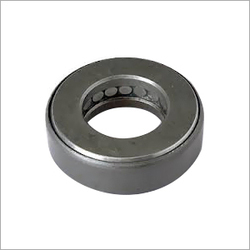 This pin bearing is developed in compliance with set industry standards by using best material & contemporary techniques. Our offered pin bearing is available in several specifications in accordance with the customer’s needs.